The Dr. Williams Pale People sign is a white double sided porcelain flange and has blue text. The text reads “Dr. 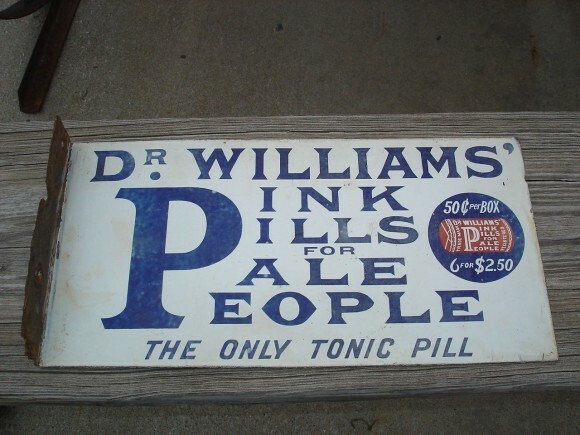 Williams’ Pink Pills ofr Pale People, The Only Tonic Pill, 50c Per Box, 6 for $2.50.” The sign measures 18″ by 9″.